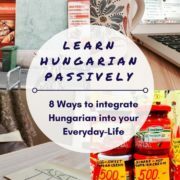 So you have already learned a great deal of Hungarian vocabulary, know a few basic phrases and already had actual interactions in Hungarian. You can order your drinks, say “hello”, “thanks” and “bye” at the supermarket and even answer a question or two which you have learned by heart (“Kicsit vagy nagyot?”, “Készpénzzel vagy kártyával?”). Still, somehow you feel stuck, as conversations and interactions never seem to evolve above this very basic level. Once the locals get the hint that you’re struggling with finding the right word at the right time and that it takes what feels like ages until you get the sentence you wish to say right in your head, they immediately switch to English, ignoring your efforts. So you feel defeated, go back to your desk in order to study more words and phrases, improve your pronunciation and to get the sentence structure right. And meanwhile, you can’t help but wonder whether that’s as far as you can get after months and months of studying Hungarian. The good news is, there is a simple solution for this problem, which will help you get beyond these robotic and unrewarding conversations. 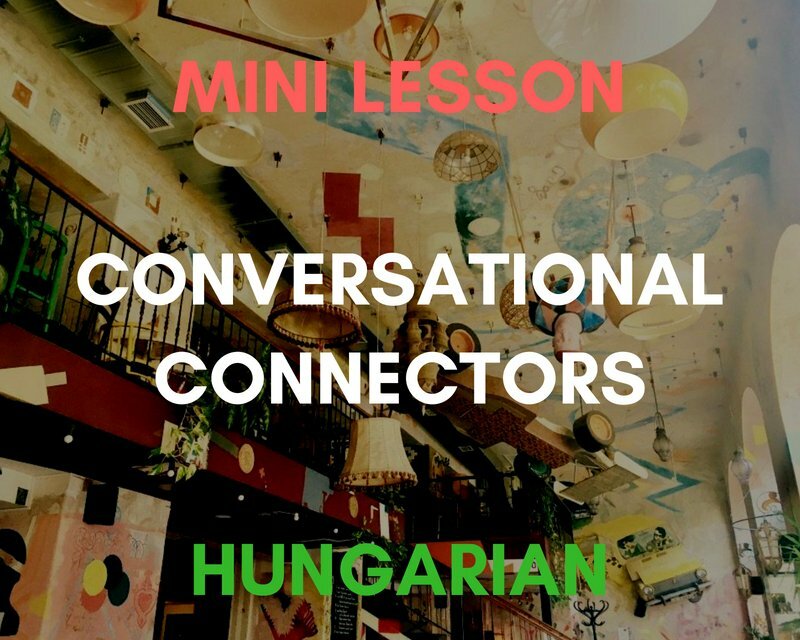 That’ll help you to chat about more than just the very essentials and help you keep a conversation flowing in Hungarian with anyone – be it the waiter at your favourite café, your parents-in-law or your Hungarian friends. 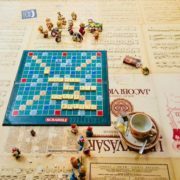 Spice it up with Hungarian Phrases of Natural Conversation! When we thought about all the conversations that we are having in our everyday-lives, we figured that only a small part of them is actually about hard facts and information. The bigger part of the conversations we encounter are about establishing intimacy, a common ground and sympathy. This is true for the most basic encounters in the city as well as the more in-depth talks with our friends and families. If what your Hungarian conversation-partner gets is a robotic sentence from you what you’ll get back is a robotic answer – mostly in English – that seeks to end the situation and deliver you from your struggles. This has nothing to do with rudeness – it’s just a basic human reaction. What we figured is, people will always stick with you and your efforts, if you give them a good enough reason. A reason apart from despair, insecurity and clumsy efforts. People will bear with you if they feel that you’re on the same human (not linguistic!) level. So how can you achieve that with your current Hungarian language skills? You’ll win time, until you manage to come up with what you really want to say. 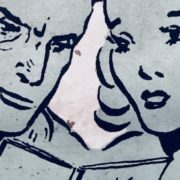 You’ll win sympathy and establish a much deeper connection with your conversational partner. This means that you’ll basically move from robotic to human in no time and trust us – this will earn you not only time and patience but also a great deal of confidence and the ability to keep up the conversation – no matter how limited and helpless you may feel. Don’t worry, as what we’re talking about is easy stuff. Think of expressions and phrases, like “Actually…”, “In my opinion” and “What do you think?” in English and how often and naturally you use them for your daily encounters. These are those exact connectors that ease a conversation and bring it to a more human and casual level. And this is also what our list will teach you. 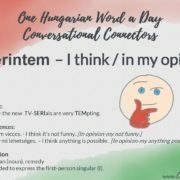 What we’ve now collected for you is a list of more than 50 phrases that Hungarians frequently use in their everyday-conversations. It’s those phrases that are seldom taught to a beginner or intermediate, as popular belief holds that you first have to learn a decent amount of grammar and vocabulary before you can actually converse. Still, these are probably the most rewarding and efficient means to keep a conversation flowing and get you on the eye level of locals. Languages are a means of communication after all and should not be about learning words and grammar rules that you cannot apply right away. We have grouped all phrases and expressions into various categories and came up with one or more example sentences for every single one, in order to give you a better feeling for the usage the phrases in an actual context. You can download (and print!) our list as a pdf here here but you’re also welcome to download this excel file and add your own natural phrases you’ve learned (and will learn in the future!). Instead of forcing yourself to learn all of the phrases at once, go through the list and see if there are certain expressions you already know. If you don’t know any of them, that’s perfectly fine as well. In that case, try to memorise one or two from each category that you find most useful. Think of the struggles you previously had in maintaining a conversation and see which one of the phrases could’ve helped you better in that case. Once you have memorised a few of the phrases, try to build yourself a script around them. There are several ways to do that. Think of your previous or most likely next encounter. After that, imagine how the conversation could go and where you would probably get stuck. Then imagine yourself using the phrase in order to bridge the gap. Imagine how the phrase will give you more time to think about what you’ll say next and how your conversation partner will naturally get the feel that you are worthy of their patience – as you hit a natural tone of conversation. Practice-practice-practice. All of these steps and memorising every phrase by heart will get you nowhere if you’re not getting interactive quickly after you’ve learned them. 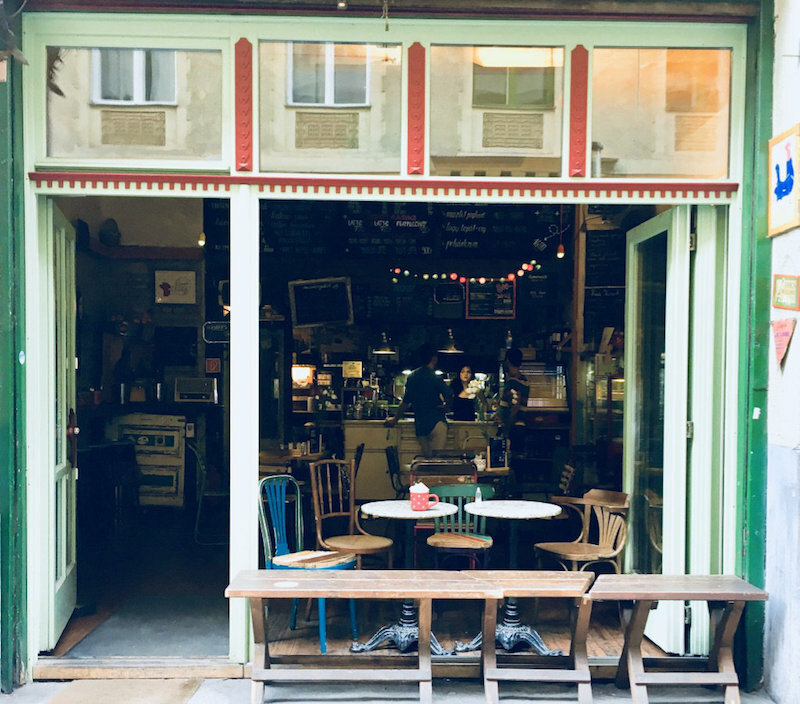 So jump in at the deep end and start using what you’ve learned – be it with your Hungarian family or the cashier at the shop around your corner. You might get still stuck at first. You indeed might struggle to use the right phrase at the right time. But it really doesn’t matter as long as you try again and truly commit yourself to loosen and ease these unrewarding and robotic conversations you’ve had so far. And now it’s your turn: Please share with us any experiences you’ve had with taking a more natural route to your daily conversations. What worked for you and what didn’t work? Which phrases and expressions did we miss from our list? Let us and others know about your wins and challenges, as every feedback is great help. 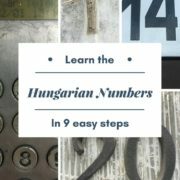 Not only for us, but also your fellow Hungarian-learners! Also, don’t forget to share the article and our list with your friends on and off social media if you liked it. Thank you! 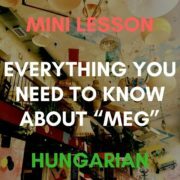 Mini Hungarian Lesson: Everything You Need to Know about "Meg"
This is a really good post and I totally agree with the premise.